1.1 You will be able to access all areas of this Website without registering your details with the Company. 1.2 By accessing any area of this Website, you shall be deemed to have accepted the terms and conditions stated on this Website in full. 2.1.3 the Company’s copyright and trade mark notices appear in all copies which may be downloaded. 2.2 Unless otherwise stated, all other intellectual property rights in all material on this Website (including without limitation source code software, web pages, content, databases, graphics, photographs, music, sounds, videos and all other digital products used for the construction and maintenance of this Website) are owned by the Company or its licensors. Your use of extracts from this Website other than in accordance with clause 2.1 above for any purpose is a breach of these terms and conditions. Your permission to use this Website will therefore terminate and you must immediately destroy any downloaded or printed extracts from this Website. 3.2 The Company will not be liable if for any reason this Website is unavailable for any period at any time. The Company shall not be responsible for loss or damage caused by your failure to notify the Company of any alterations made to this Website by you or any third party on your behalf. 4.2.4 which is technically harmful or destructive to any third party (including but not limited to software viruses, Trojan horses, worms, harmful code, corrupted data or any other malicious software, data or program). 4.3 You may not subject this Website to any form of misuse and in particular you shall not obtain unauthorised access to or modify computer material either with or without intent to commit or facilitate commission of further offences in accordance with the Computer Misuse Act 1990 or any statutory re-enactment thereof. 4.4 The Company will fully co-operate with any government body, law enforcement agency or court of law which may order instruct or direct the Company to disclose the identity or locate anyone posting any material in breach of paragraphs 4.2 or 4.3. 5.3 The Company expressly reserves the right to terminate the licence granted to you for failure to comply with your obligations in this clause. 6.1 Each registration is for a single user only and the Company does not permit you to share your user name and password with any third party nor with multiple users on a network. 7.1 The Company reserves the right to provide you with details of any existing or future services via e-mail marketing unless you wish to opt out by sending the Company an e-mail either to [email protected] or writing to the Company at the following address: Hartley Botanic, Greenfield, Oldham, OL3 7AG. The Company will not supply your details or e-mail address to any third party. 8.1 The Company may alter products, services and prices described in the Website at any time without notice. The Company does not warrant the accuracy of the material on this Website nor is the Company is obliged to keep all material on this Website up-to-date. 8.2 The material on this Website is provided “as is” without any conditions, warranties or other terms of any kind. Accordingly, to the maximum extent permitted by law, the Company provides you with this Website on the basis that the Company excludes all representations, warranties, conditions and other terms (including, without limitation, the conditions implied by law of satisfactory quality, fitness for purpose and the use of reasonable care and skill) which might otherwise have effect in relation to this Website. 8.3 The Company does not warrant that the functionality of this Website will be free of any defect and/or virus. 8.4 The Company, any other party (whether or not involved in creating, producing maintaining or delivering this Website), and any of the Company’s group companies and the officers, directors, employees, shareholders or agents of any of them, exclude all liability and responsibility for any amount or kind of loss or damage that may result to you or a third party (including without limitation, any direct, indirect, punitive or consequential loss or damages, or any loss of income, profits, goodwill, data, contracts, use of money, or loss or damages arising from or connected in any way to business interruption, and whether in tort (including without limitation negligence), contract or otherwise)) in connection with this Website in any way or in connection with the use, inability to use or the results of use of this Website, any Websites linked to this Website or the material on such Websites, including but not limited to loss or damage due to viruses that may infect your computer equipment, software, data or other property on account of your access to, use of, or browsing this Website or your downloading of any material from this Website or any Websites linked to this Website. Nothing in these terms and conditions shall exclude or limit the Company’s liability for (i) death or personal injury caused solely by the Company’s negligence; (ii) fraud; (iii) misrepresentation as to a fundamental matter; or (iv) any liability which cannot be excluded or limited under applicable law. 8.5 If your use of material on this Website, results in the need for servicing, repair or correction of computer hardware, software, programs or data, you assume all costs thereof. Furthermore the Company shall not be liable if your use of this Website results in the need for repair or maintenance of computer hardware, software, programs or data. In these conditions ‘Hartley Botanic’ means Hartley Botanic Ltd, Wellington Road, Greenfield, Oldham, OL3 7AG. The ‘Purchaser’ means the person, business or company to whom the acknowledgement of order is issued. The ‘Goods’ means any products, machinery, equipment and services of all kinds to be supplied by ‘Hartley Botanic’ . The property in the goods shall remain with ‘Hartley Botanic Ltd’ until such time as the invoice is paid in full, but the risk in the goods passes to the Purchaser when the goods are delivered to or collected by the Purchaser or its agent. All prices on our website and catalogue are given in good faith and are in pound sterling. Hartley Botanic Ltd’ reserves the right to alter any price on the website or in its catalogue before the Purchaser places an order. Prices quoted are for delivery to UK mainland only. For all other locations please telephone our customer helpline on +44 (0) 845 434 8882. Our returns policy applies to standard goods returned unused, in their original packaging and with all instruction manuals etc, within 7 days of the receipt of the goods. The Purchaser, on any goods returned other than damaged goods, must pay carriage. ‘Hartley Botanic Ltd’ reserve the right to implement a restocking charge of 25% if a purchaser cancels an order and returns the goods. The purchaser, on any goods returned other than damaged goods, must pay carriage. Carriers will only make delivery to the door of the Purchaser’s premises or site, but not to locations within the Purchaser’s premises. Installation is not included, unless otherwise agreed. The Purchaser must ensure that there are sufficient handling facilities to receive the goods, which they have ordered, and that any bulky items can fit through the necessary access. ‘Hartley Botanic Ltd’ will not accept responsibility for any damage incurred resulting from the movement into or within the Purchaser’s premises. The Purchaser must pay for any charges incurred from an unsuccessful delivery attempt. Hartley Botanic Ltd’ is not liable for any consequential loss or special damages of any sort. The Purchaser is advised that they should un-pack and inspect all goods upon delivery. The recipient must sign for all deliveries. Any shortages, damage, incorrect or faulty equipment must be notified to us within 24 hours from receipt of goods, or a claim cannot be established. This does not affect the Purchaser’s statutory rights as a consumer. If any ‘unqualified’ person undertakes the supply and /or fitting of parts not specified or supplied by the manufacturer whilst the goods are under manufacturer’s warranty, then any guarantee for those goods may be void. Unless otherwise notified, the guarantee applies to parts failing within one year of the goods being supplied. Wear and tear of a product is not covered by guarantee, nor is damage, misuse or lack of maintenance. The Purchaser is reminded that they should satisfy themselves that the product they are ordering is suitable for their requirements and no responsibility is placed with ‘Hartley Botanic Ltd’ for their decision. 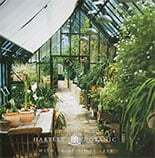 ‘Hartley Botanic Ltd’ standard terms are strictly payment with order. If variation in terms is agreed in writing or shown online and payment is not received in full when due, any discounts applied to the invoice will be cancelled and interest will accrue on the unpaid amount. Placing an order constitutes acceptance of the above terms and conditions.